PRESS RELEASE: San Francisco, USA / Prague, Czech Republic, (Oct 23, 2017): The automotive industry is one of the most important economic sectors, in which new technologies play a crucial role. The development of Virtual Reality (VR) and Augmented Reality (AR) brings innovative solutions to several areas of the automotive field – from car design and development to test-driving, showroom experience, and employee training. The AR/VR already is a billion-dollar market and it is expected to reach $120 billion within the next few years. “Virtual reality helps car designers to be much faster and more precise in developing new vehicles. What used to take months and needed to be tested as a physical prototype model, we can now speed up with virtual reality,” says Marek Polcak, CEO and co-founder of VRgineers, the Czech-US virtual reality engineering company that is selling the VRHero 5K, a high-resolution professional VR headset to carmakers like BMW, Audi, Volkswagen, and ŚKODA AUTO. VRHero 5K’s crystal-clear VR imaging allows car designers to accelerate the development of new prototypes, lets pilots experience a realistic cockpit environment; and gives architects the opportunity to fine-tune the smallest details and materials of future buildings. VRHero 5K sports a dual-display 5K resolution; a 170-degree field of view; patented custom-built optics and native support in various enterprise software applications. 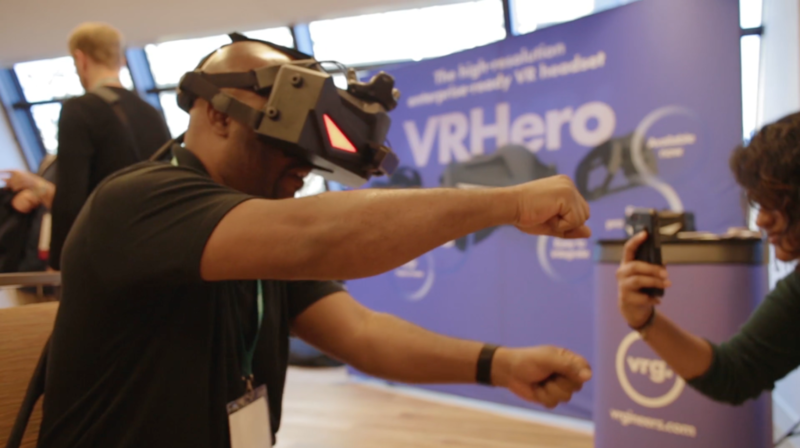 Together with the headset’s durability and software security, it makes VRHero 5K the best available VR solution for professionals in the enterprise market, including the automotive. The automotive industry has had a long experience with VR/AR technologies in the design and evaluation processes. The most common are room-sized immersive 3D visualization systems with multiple data projectors and goggles similar to those used for 3D cinema. They have been developed in the 1990’s and although they have played an important role in scientific and engineering visualizations, it is also a highly costly solution, generally amounting up to hundreds of thousands of Euros. As the new generation of high-quality enterprise-level VR headsets is becoming more readily available, the current market for these immersive solutions is getting disrupted. Offering a higher pixel density and thus also a better resulting picture quality for only a few thousands of Euros, it is a hard-to-ignore alternative with a potential to transform the whole industry. “The market today is hypercompetitive. We’re constantly seeking ways to cut costs, especially in the prototyping, production, and marketing phases of each new model. This is where we see significant opportunities to use VR, especially in the digitization of the production process.” said Leoš Červený, Virtual Reality and Digital Factory coordinator in ŠKODA AUTO, a part of the Volkswagen Group. On the customer side, high-resolution Virtual Reality gives the customer an opportunity to choose, configure and virtually test drive their future car. VR also starts to play an important role in drivers’ education, bringing the driving simulators to a completely new, realistic level. Last but not least, VR can be used for point-of-sales employee training to teach them about new car models and their configurations. Oct 25, 2017 4:30pm–7:30pm: Otto Fabri, world-renown automotive design engineer, and the former lead design engineer in Tesla and Faraday Future, will be testing the VRHero 5K and the VRgineers Autodeck and will be available to media exclusively for comments and interviews about the usage of VR in the automotive.